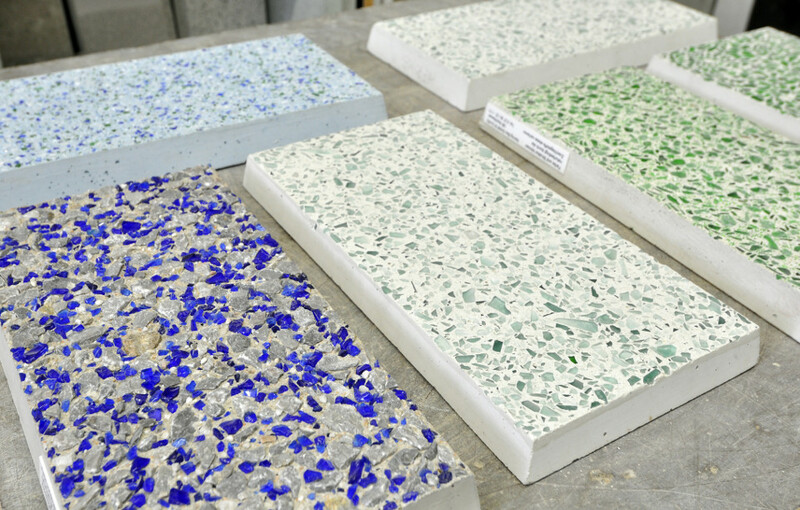 As part of a comprehensive scientific research project, Hering, together with the University of Siegen, over a period of several months attempted to discover a method of manufacturing permanent and stable concrete mixtures that included real glass. 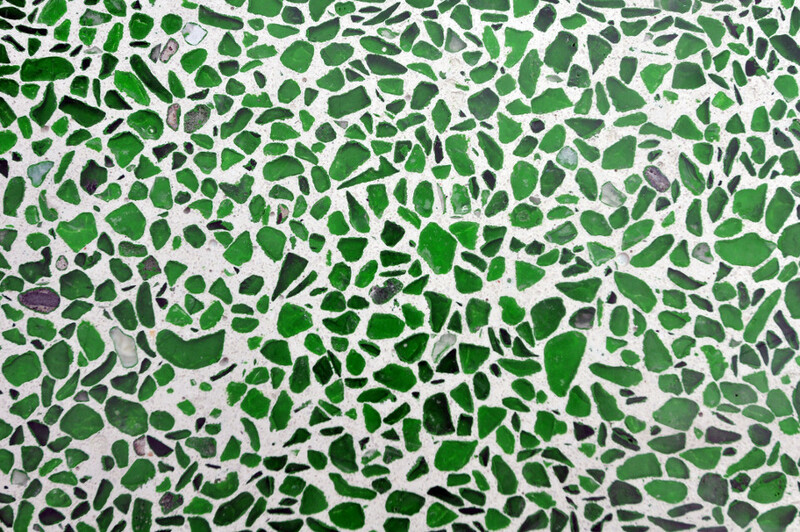 During the course of testing, the team of scientists discovered the optimum mixture ratio, with eight of the tested glass types being suitable for use and meeting the requirements of the DAfStb Alkali Guideline (Part 2). 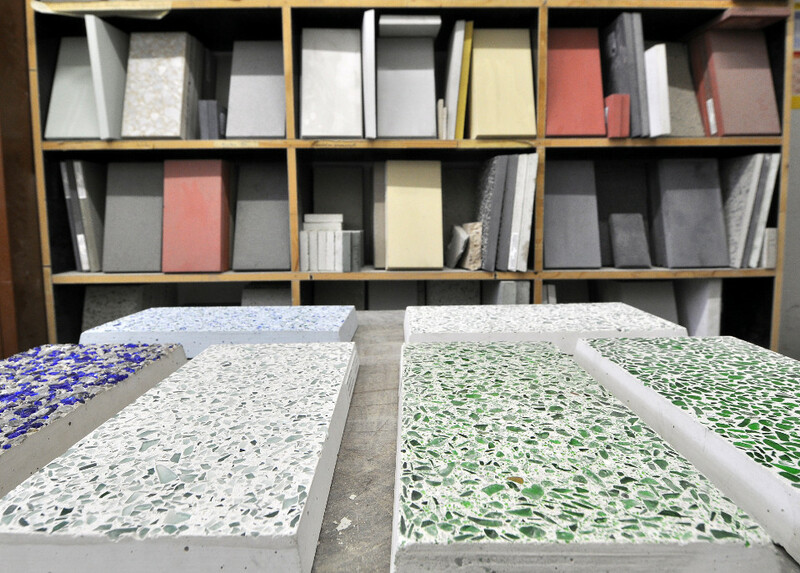 Hering’s specially-developed "concrete-glass recipe" also fulfils the defined criteria of DIN 1045 for structural concrete components. 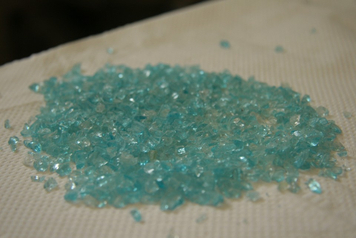 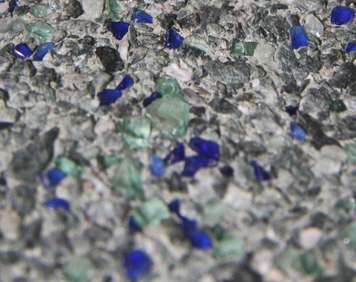 The tested glass types are naturally also suitable for various types of surface treatment, including acidification, washing, blasting and grinding. This provides architects and planners with completely new aesthetic possibilities. 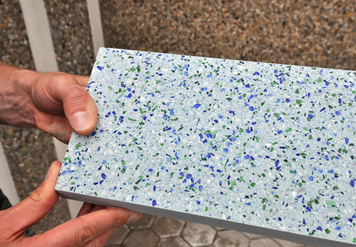 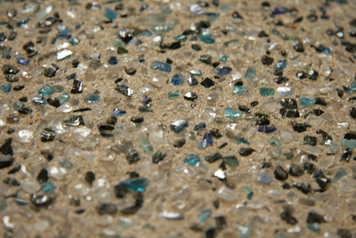 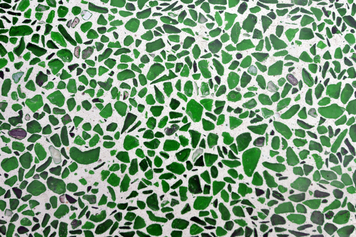 Sample concrete slabs with glass aggregates and different surface finishes.